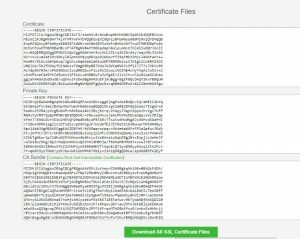 Lets Encrypt is a free and Opensource SSl that provides free Wildcard SSL certificate for multiple subdomains. 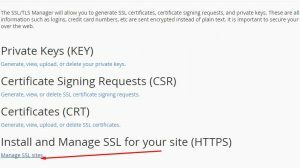 This tutorial goes through the process of installing Lets Encrypt SSL certificate to a website on a Cpanel Server manually without using the Lets Encrypt plugin as available on Truehost Cloud Servers. Lets Encrypt has appointed sslfor free.com to generate and issue free Lets Encrypt SSL. 5. The website will generate two domain verification files for upload to your Cpanel server. Click on the two download files generated to download to your computer. 8. Click on the File Manager to Open your website file system, proceed to click on Public_html to enter into the directory. Follow the links displayed on sslforfree website to verify the downloads and consequently the domain. 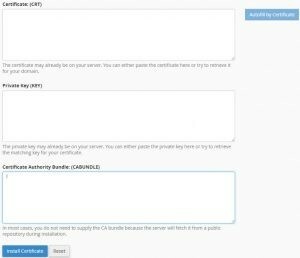 Copy paste the content of the CA Bundle, Private Key and Certificate in the respective content boxes. The final step and very important is to force all traffic through the https protocol. Click Save to save the .htaccess file update. Access the website on browser now.